I had the most amazing 35th birthday with my girlfriends in a gorgeous house in Watercolor, Florida last month. 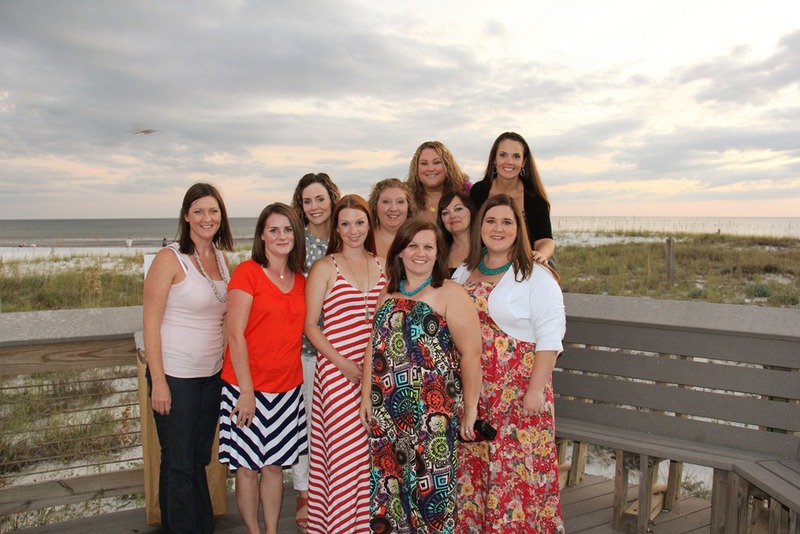 We went to the beach and ate great food and hit up all of my favorite haunts along the Gulf Coast from Red Bar to The Back Porch. It was a perfect weekend. Besides the amazing scenery, girl time and decorporn that I got to experience all weekend, one of the highlights of the trip were these custom made cookies that my friend Steph brought to the party. 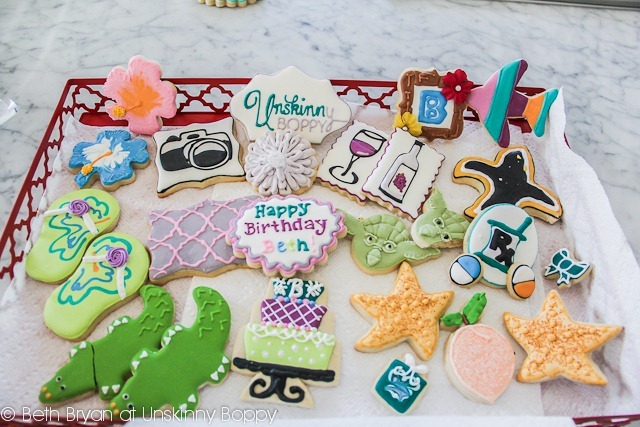 The cookies were designed by Salsa Sweets, and they were seriously almost too pretty to eat. There were cookies to represent every single girl who was at the party. From Yoda to tiny little pill cookies to go with the pill bottle for my friend who is a pharmacist. I can’t even begin to explain all the cookies and their meanings, but she nailed every single one of us perfectly. 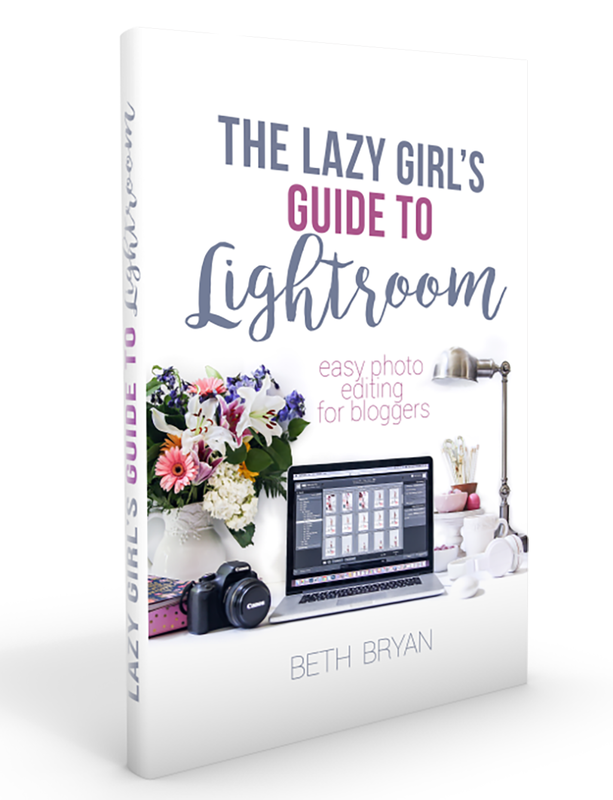 I was blown away by the thoughtfulness and talent that went into this gift. I say they were ALMOST too pretty to eat because by the time the weekend was over this tray was emptied out. What didn’t get eaten got sent home to our kids to be eaten. 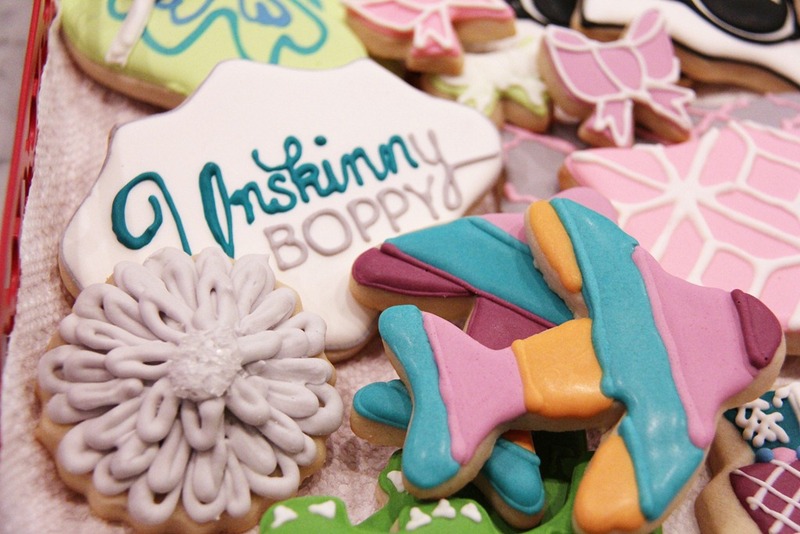 But I still have my Unskinny Boppy cookie saved because it’s just THAT perfect. I’m sitting here looking at my header right now, and it’s just amazing how much she nailed it. Freehand, too! I want to frame it. So, if you are looking for the perfect gift to give to someone who appreciates baked goods and attention to detail, check out Salsa Sweets on facebook and tell her I sent you! 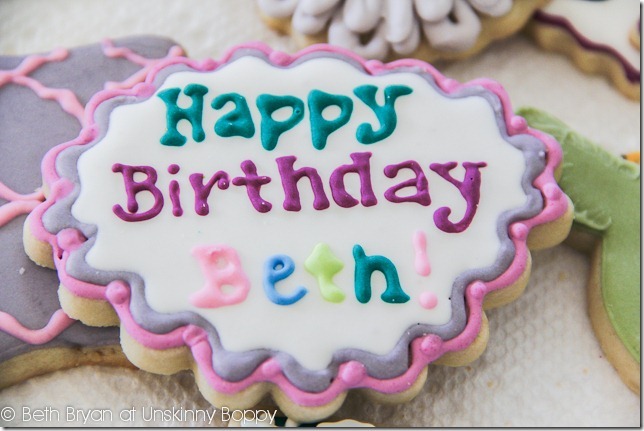 Her cookies are extraordinary! 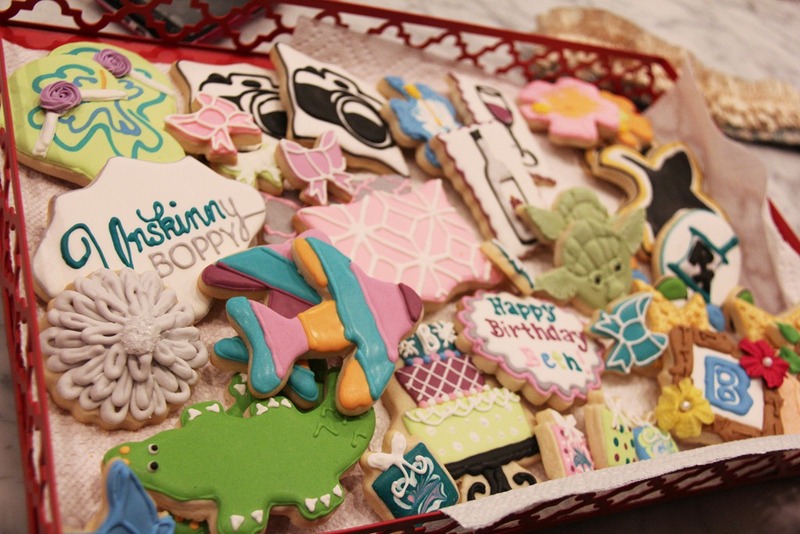 Thanks SO much to Steph for surprising us all with these masterpiece custom cookies. I have the greatest group of friends in the whole world. What can I say? I express my love with baked goods. And since I’m a disaster in the kitchen, I figured I’d recruit someone far more talented. Wow, they are soooo beautiful and lovable, dear friend happy birthday to you! I love the cookies you have here. 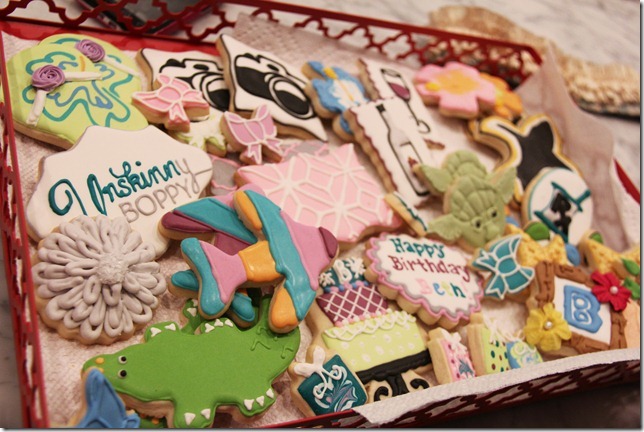 It’s amazing how custom they are, every cookie is so different! I like how you even had a “unskinny boppy” cookie, that’s great. 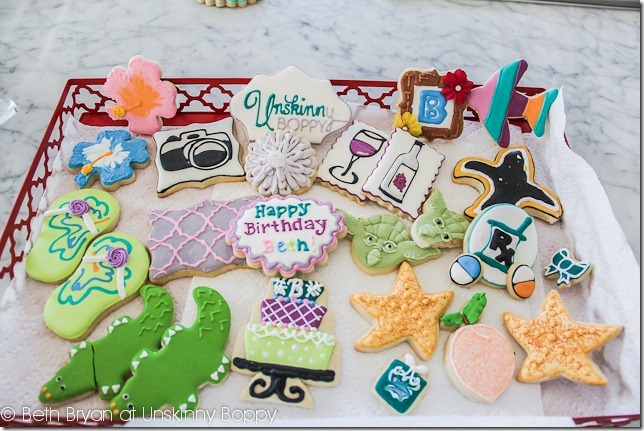 I need to try and get some custom cookies for our next party.